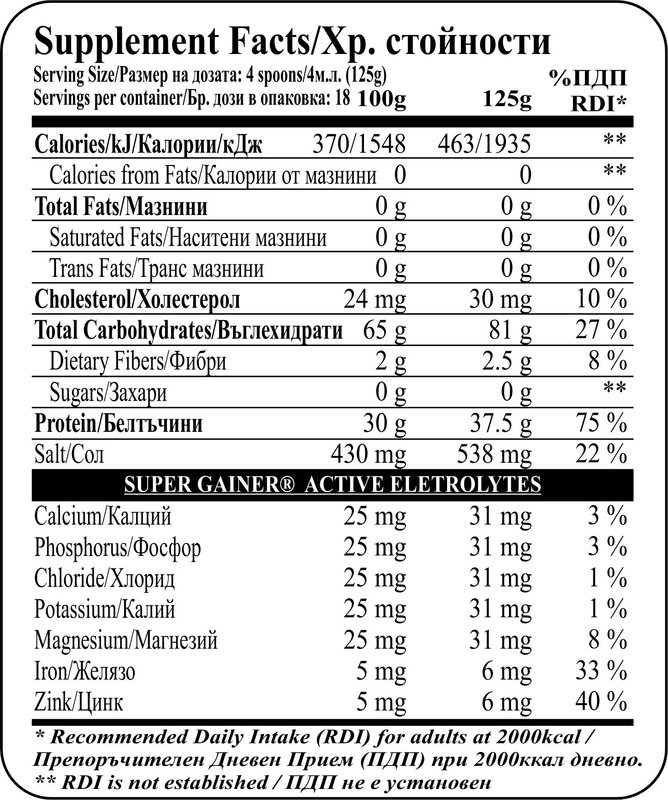 Super Gainer has 30% protein per serving that supply your muscles with Glutamine, BCAAa and Creatine amino acids. You get 0 grams of Fats or Sugar. Slow release milk proteins for maximum growth. Exclusive gainer for quickly increase muscle mass, which contains no sugar and fat. Suitable for beginners who are looking for quick results, and advanced athletes who seek additional muscle growth. It contains only slow milk proteins that will nourish your muscles with amino acids long after its intake. Each serving contains 8 grams BCAA and 10 grams L-Glutamine, which are essential for rapid recovery of exhausted muscles and their growth. Creatine matrix is ​​added for additional strength during a workout and accelerating a recovery from it. Thick, rich taste with 100% natural flavorings. Suitable for reception by people with fast and slow metabolism. It does not contain sugar and fat and can be taken at evening before bedtime. 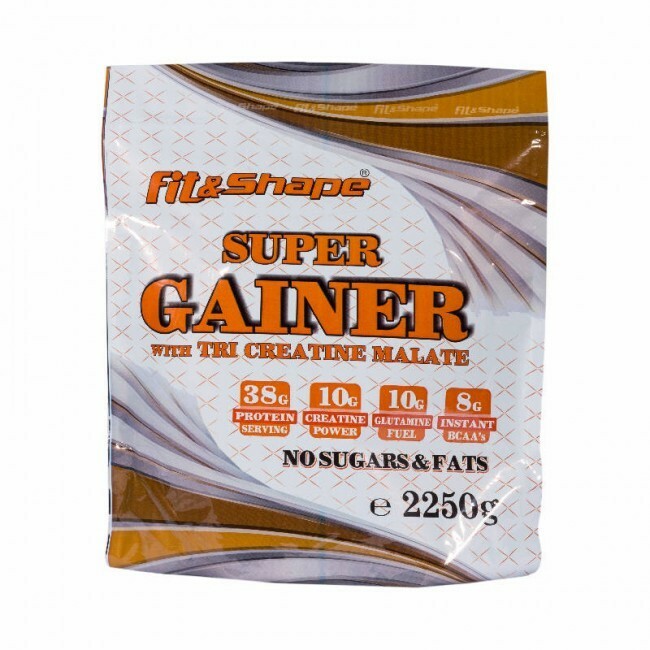 Its high content of BCAA, glutamine and creatine will ensure rapid muscle growth and proper recovery after exercise. Mix 4 tablespoons (125 grams) in 500-600 m of water or milk and beat well with a shaker. INGREDIENTS: Maltodextrin, milk protein isolate (milk), calcium caseinate (milk), oligosaccharides, acidity regulator: citric acid, stabilizer: carboxymethylcellulose, flavoring, natural coloring, sweetener, sucralose, food enzymes: amylase, protease.